Find the best library databases for your research - browse alphabetically, by subject or type. The following are recently acquired research databases. Online neurology textbooks and reference books, case studies, streaming videos, and multimedia study tools. To create a free AccessNeurology account, click Sign In at the top of the page and then Sign in or Create a Free My Access Profile. Account features include the ability to add items to a favorite list, folder organization, and annotations, among many more. Downloadable PowerPoint presentations, tables, and slides are available. Use the drop down menus located above the search bar to find valuable resources, including case files, drug information, an interactive atlas, self-assessment tools, and an extensive multimedia library. To conduct a search with multiple terms or phrases, use the Advanced Search located under the search box. To view other sections available in a book, click on its cover image at the top left of the page. To view all the eBooks available to you, use the Books drop down menu and select Library. Pop-up blockers may interfere, so please allow pop-ups. Use an asterisk (*) at the end of the root of a word to find all variants of the word: ifarct* will find infarct, infarcts, infarction, etc. Profiles of air, ground, and maritime unmanned systems in use around the world. Users must create a profile using their ERAU email address and then contact AUVSI Research Analyst David Klein (dklein@auvsi.org) to request access. This process may take several days to complete. If immediate information is needed, please contact ASK a Librarian for assistance. AUVSI accounts are removed from the system on a yearly basis. A new account must be created every year using the steps above. Cabells provides multiple quality metrics for over 11,000 journals (Whitelist) and a searchable database of deceptive or predatory journals (Blacklist). Create a Cabells User Profile by clicking on the circled profile image in the upper right corner of the website. While not required to obtain journal information, a User Profile allows you to select journal disciplines, save preferred journals, create default Whitelist search settings, and more. A journal's lack of inclusion on the Whitelist does not necessarily mean it's a poor quality or predatory publication. Enclose terms in quotation marks to search for exact phrases: “journal of thermophysics and heat transfer"
Click Filters to the right of the search box to further refine the results by Discipline, Impact Factor, Altmetric Report, Peer Review level, and more. Click on the bolded journal title to expand the Journal Card to see more details. For more information on this database, including explanations of the Whitelist and Blacklist, see https://www2.cabells.com/faq. Scholarly journals and magazines covering issues of cultural differences, contributions, and influences in the global community. Documents can be saved to either Google Drive or Microsoft OneDrive. To save to one of these locations, click on Send to Google Drive or Send to OneDrive in the Tools menu on the right side of the page of an opened document. This database offers text-to-speech for full-text documents. To use it, open a document labeled as full-text and click the Listen icon below the citation. Enclose terms in quotation marks to search for exact phrases: "indigenous languages"
Use an asterisk (*) at the end of the root of a word to find all variants: cultur* will find culture, cultures, cultural, etc. Use the limiters on the right to narrow your search results as desired. The Topic Finder feature provides a graphical way to view topic connections and ideas for other possible keywords. For help using and searching this database, click on the More link located near the top right and then click on Help. Click on the Save button below the citation for items that are not full text. Click on the More button located toward the top right and then click on My Folder. Scholarly journals and magazines covering significant aspects of gender in culture and society. Enclose terms in quotation marks to search for exact phrases: "equal employment"
Use an asterisk (*) at the end of the root of a word to find all variants: advocat* will find advocate, advocates, advocated etc. New users must register for a user account (using your ERAU email address) for access. Provides aerospace industry datasets, news, and market reports. Coverage includes defense, security, unmanned and autonomous systems, and more. New users will need to create a free account using their ERAU email address to access information. If the Register for an account page does not open automatically, click the Login/Register button at the top right. Users must log into Shephard Plus using their Shephard Plus login name and password and not their ERNIE Account ID and Password. Handbooks are not included in this subscription. To browse information, click on the View Dashboard button or any of the News buttons. Browse specific magazines by clicking on News along the top and then selecting the specific title. Basic searching of information can be done using the Search box at the top right or the search box in the Menu on the left. To search and filter information, click on the View Dashboard or the Shephard Plus link at the top of the page. Use the different filters on the left to select the information you are looking for, i.e. manufacturers by country, products of interest, etc. and click on Apply & Save. Multiple filters may be selected. Click on the Browse Selection button to view individual entries and get full details. Additional filters can be added on the results page by selecting the desired information and clicking on Filter Data. Click on Filter by attributes in the right-hand corner to filter by specific attributes, if desired. Click on Save to Export and then Download to export all data to an Excel file. Users are limited to exporting 500 lines of data per day. Vehicles can be compared in chart format by clicking the Add to Compare button. Click the X to remove items from the compare box. Click on Compare Now to create the comparison chart. Market and Analysis Reports are available on the Dashboard page toward the button. Click on any dashboard link at any time to return to your Dashboard. Click on Your Account at the top right to logout of the database. Search for specific titles of journals, magazines, and newspapers both online and in print. Access mobile-friendly research databases and download mobile apps for Android and Apple devices. 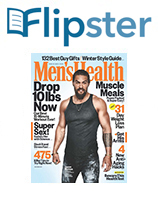 Access popular digital magazines on your desktop or mobile device with Flipster, the digital magazine newsstand. To print, click on the print button located toward the bottom right of the issue page. Each publisher has different printing parameters. Some allow printing of a single page, a range of pages, or no printing at all. To search for a specific magazine title, type the title in the search box along the top and click Search. To browse all magazine title available, click on the View All link on the right. To Browse magazine titles in a particular subject area, choose a category on the left, i.e. Automotive. To access back issues of a specific magazine, open the most recent issue of a magazine and click All Issues on the right. Click on the current issue. Click in the search box at the top right. Select this issue or all issues from the drop-down menu below the search box. Type your search term(s) in the box and hit the enter key. ​Get help with our Flipster Guide.